Ian van Coller was born in 1970, in Johannesburg, South Africa, and grew up in the country during a time of great political turmoil. These formative years became integral to the subject matter van Coller has pursued throughout his artistic career. His work has addressed complex cultural issues of both the apartheid and post-apartheid eras, especially with regards to cultural identity in the face of globalization, and the economic realities of every-day life. Van Coller received a National Diploma in Photography from Technikon Natal in Durban, and in 1992 he moved to the United States to pursue his studies where he received a BFA from Arizona State University, and an MFA from The University of New Mexico. He currently lives in Bozeman, Montana with his wife, children, and three dogs. His work has been widely exhibited nationally and internationally and is held in many significant museum collections, including The Philadelphia Museum of Art, The Getty Research Institute, The Metropolitan Museum of Art, The Library of Congress, and The South African National Gallery. Van Coller's first monograph, Interior Relations, was published by Charles Lane Press (New York) in 2011. He is a member of the Piece of Cake collective. 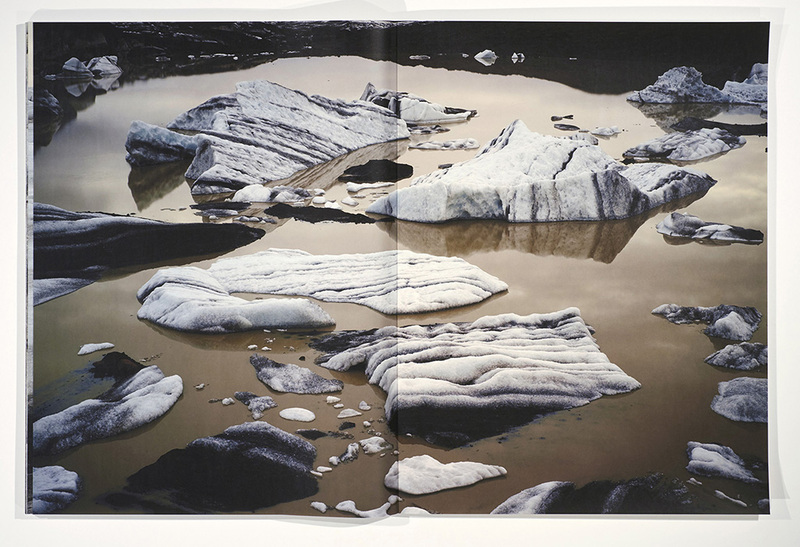 Van Coller's most recent work focuses on environmental issues related to climate change and deep time. These projects have centered on the production of large scale artist books, as well as direct collaborations with paleo-climatologists. Van Coller's Guggenheim Fellowship will be (motivated) by collaborations with scientists in Norway, Svalbard, Baffin Island, Greenland, Brazil, Chile, Antarctica, Nevada, Wyoming and Montana. Climate change has become a common and controversial buzz-word, but the layman understanding of it is sometimes rudimentary and intangible. This project reflects my recent focus on creating work that brings art and science together in an effort to make the monumental issue of climate change both tangible and comprehensible on a human scale. The rapid transformations brought on by climate change have compressed and conflated human and geologic time scales. I employ the metaphor of glaciers as “time machines” that capture, compress and conserve remnants of the planet’s ancient atmosphere. 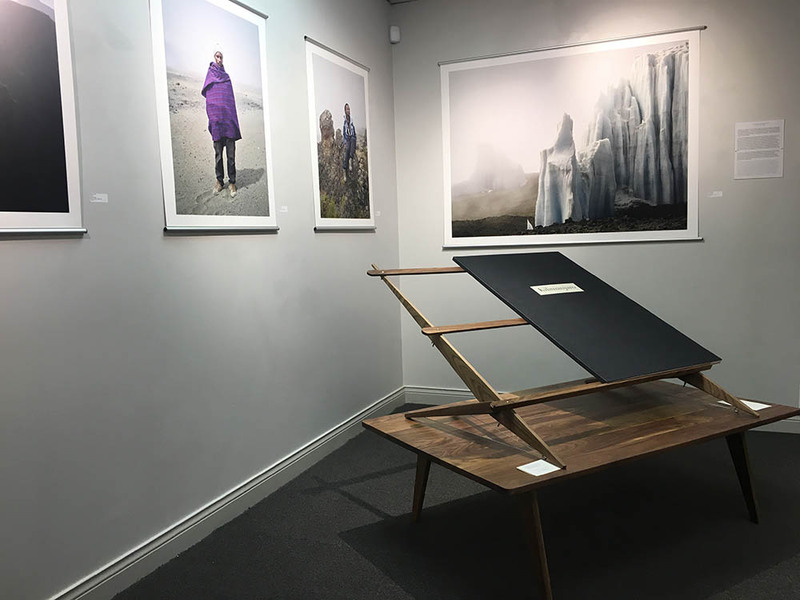 Consequently, I have become interested in how human conceptualizations of deep time can be explored through visual exploration of glacier ice, the ephemeral contents of which can tell us much about our past, as well as our future. 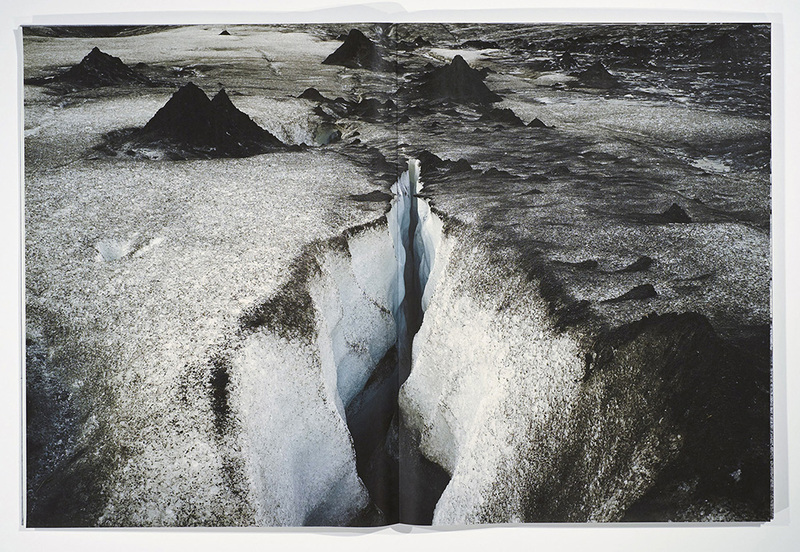 Initially inspired by the 10,000 Year Clock Project of the Long Now Foundation, I have begun collaborating with scientists to make art that challenges viewers to think about the vast scales of geologic time—both past and future—that are recorded in the earth’s glaciers and ice bodies. This is a 6-page accordion fold book. There are 6 hand pulled photogravures and 3 pages of handset letterpress. Photogravures were made and printed by Ian van Coller and are on Japanese Silk Tissue. 3 are appropriated images and 3 are from photographs by Ian van Coller. 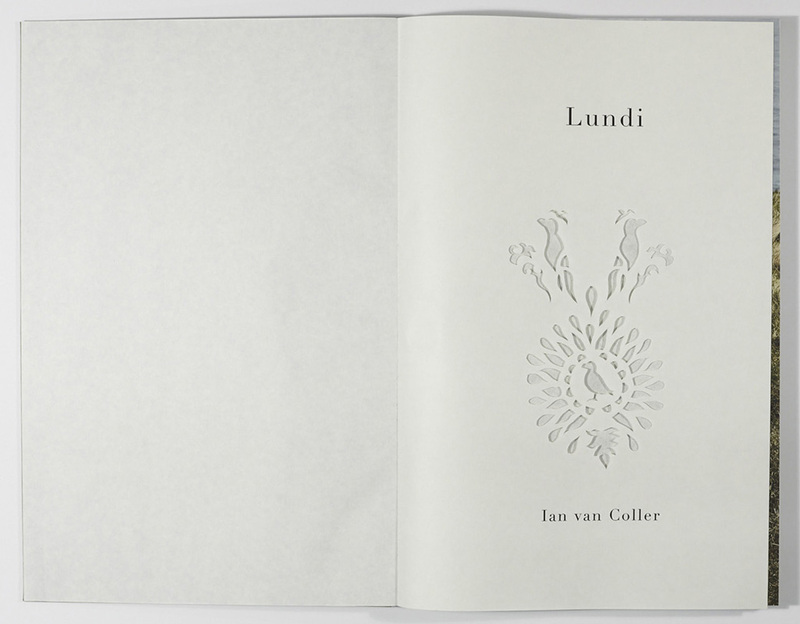 The text is composed by Beth Brand van Coller and the letterpress was set and printed on Rives BFK by Ian van Coller. Printed in 1996, 11×14 inches. This is a limited edition of 10 plus an AP and PP. Published 2015. 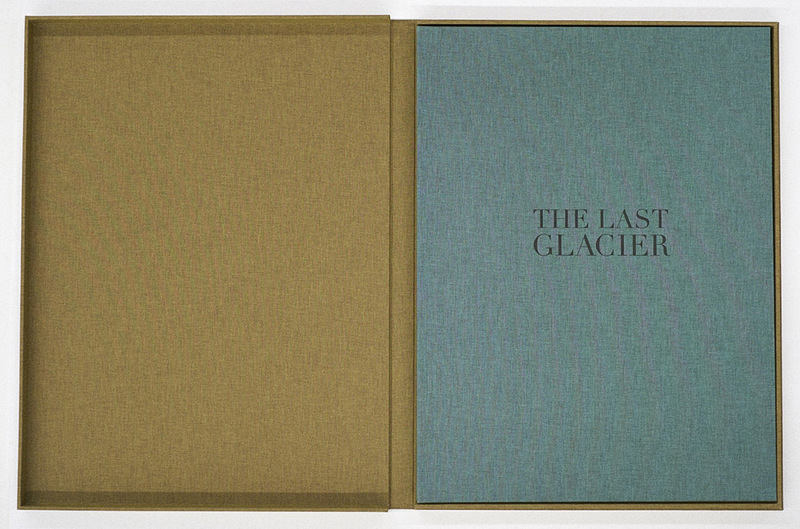 This is the second in my series of books about glaciers and is large @ 25″x38″ when open, exactly the same construction as The Last Glacier Book. 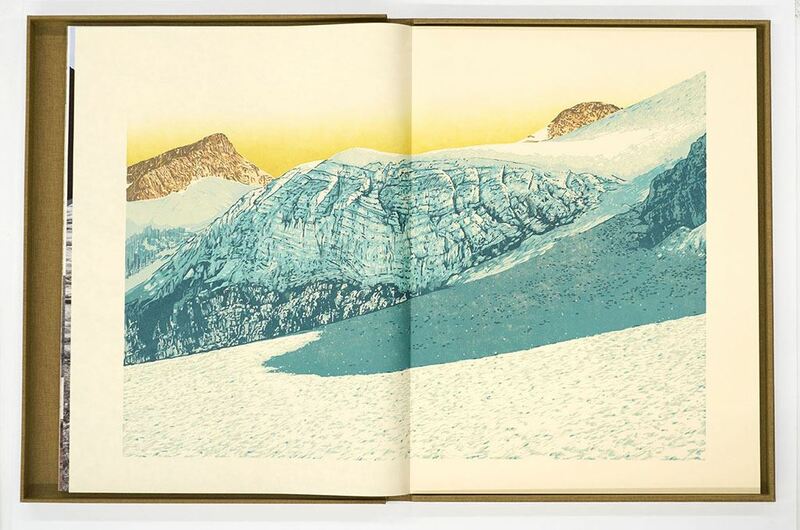 I intend this to be an ongoing series of books about glaciers from various regions around the globe. There are 19 image plates, a title page, an index and a colophon. 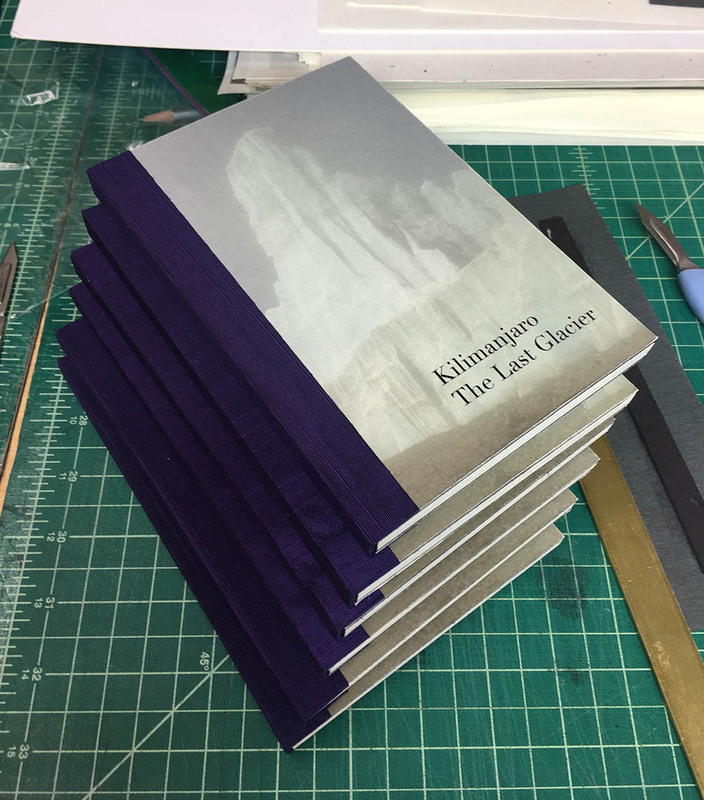 The book comes in a clamshell box with a letterpress title on the cover. Binding and Letterpress is by Rory Sparks. Prints are archival pigment prints on Asuka. The book is in a limited edition of 5 plus 1AP. Click here for the project statement. Published 2017. 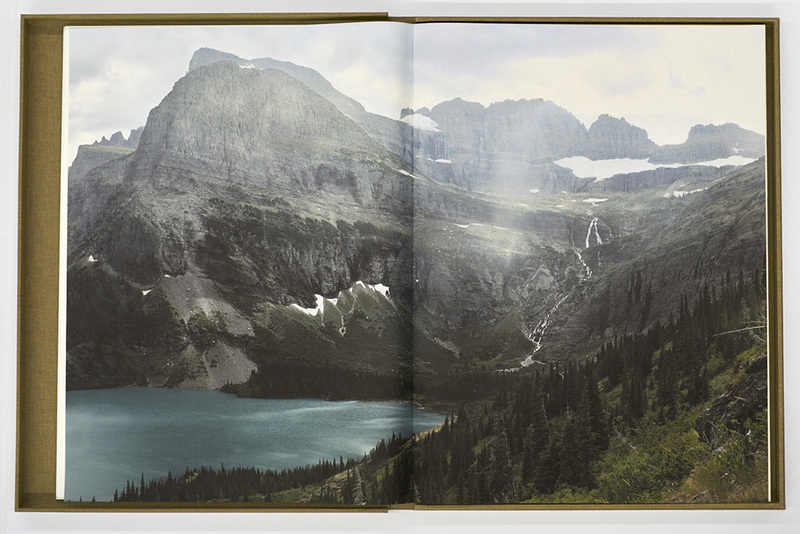 This is a monumental artist book (125cm or 50inches when open) of photographs made on Mt. 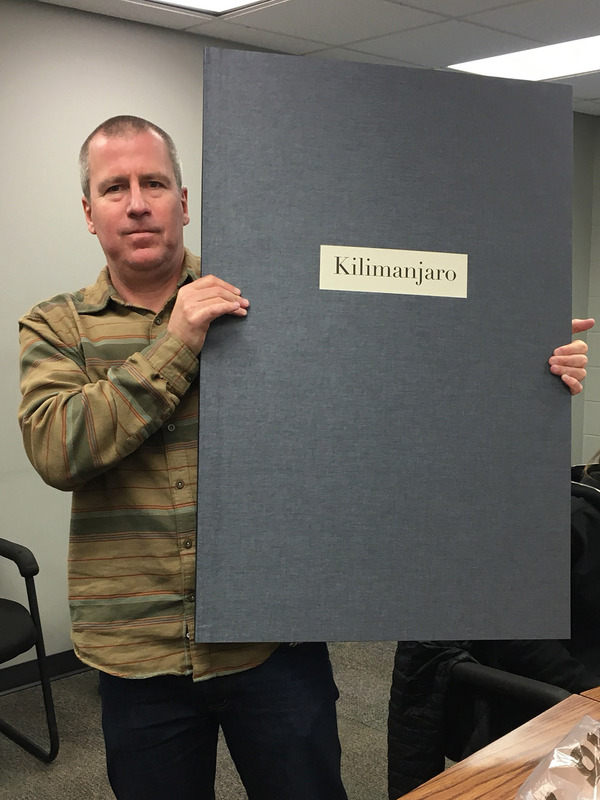 Kilimanjaro in 2016. All photographs and printing of photographs are by Ian van Coller. Reductive woodblock print by Todd Anderson. Essay by Dr. Douglas R. Hardy. Bookbinding by Rory Sparks. Pictured here is the Artist Proof. edition of 7 + 1 AP. Click here for the project statement. A miniature version of Kilimanjaro: The Last Glacier. Edition of 30. Designed and bound by Ian van Coller. Published 2016. 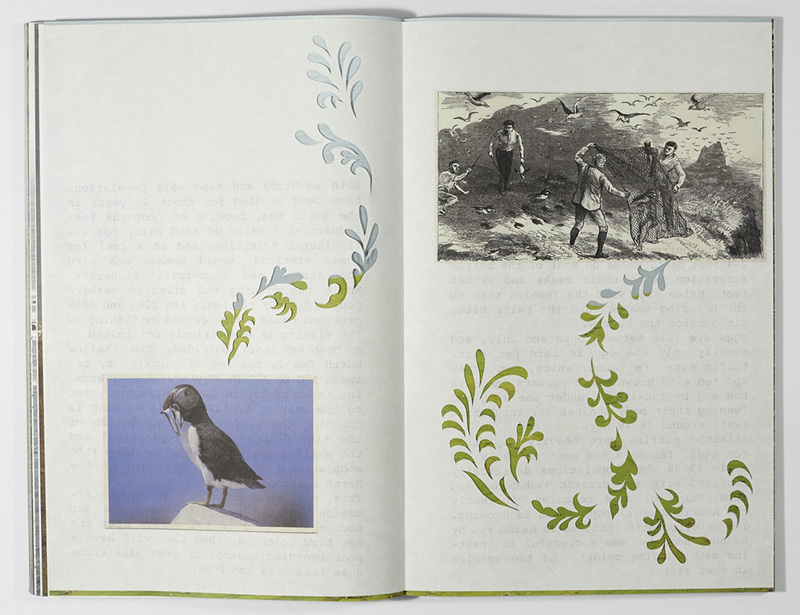 Lundi (Puffin in Icelandic) is a handmade artist book that I meant as a contemplation on the decline of the Atlantic Puffin due to climate change and human impacts. 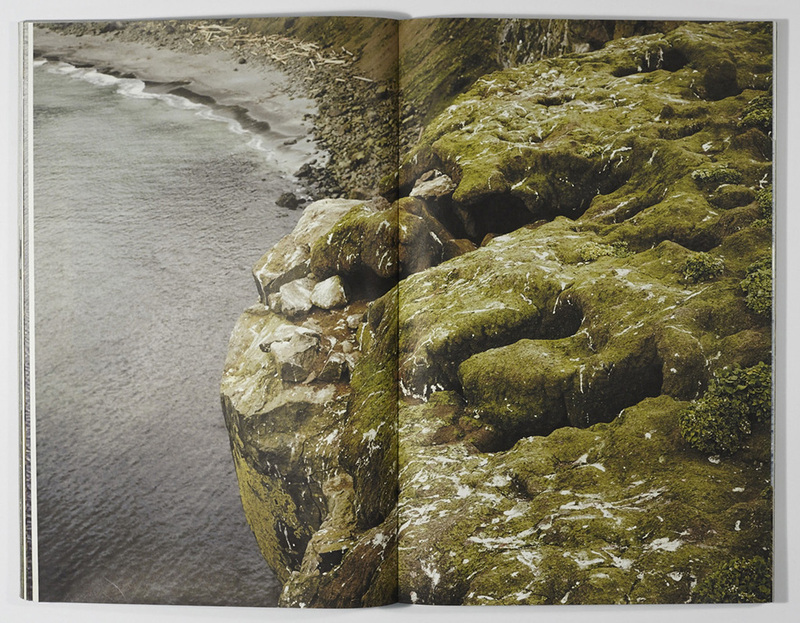 The book includes photographs I made in Iceland and the Faroe Islands in 2014, pages that I laser cut, found postcards and historic images, as well as appropriated texts either from scientific journals or press clippings. 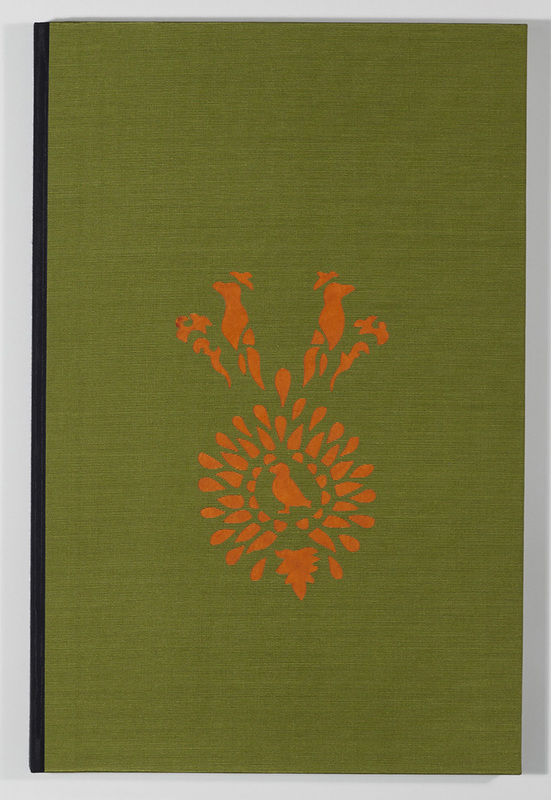 The prints are all pigment prints made by myself, and the book is a drum leaf bound by Rory Sparks. 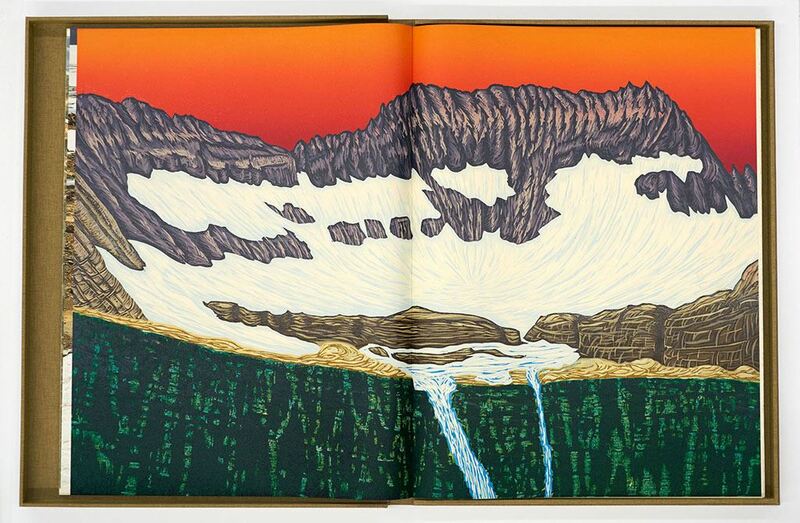 This is an edition of 10 and one artist proof. 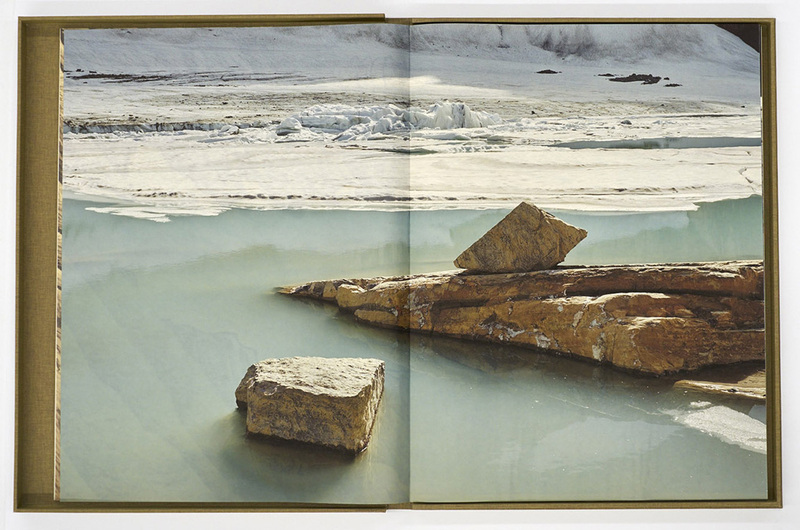 This is a large scale editioned artist book called The Last Glacier. The book is a collaboration with artists Todd Anderson (from Clemson University), Bruce Crownover (master printer at Tandem Press in Madison, Wisconsin), Ian van Coller, and master book maker Rory Sparks, with an introduction by Nancy Mahoney. It is 38″x25″ when open and is completely handmade in an edition of 15. 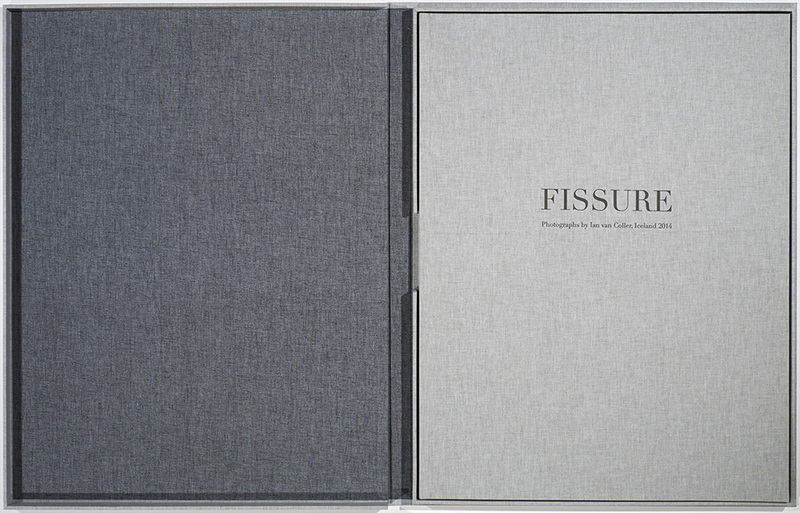 The book has 23 image plates, as well as colophon and index. All text is done in letterpress by Rory Sparks.The book comes in a clamshell box with a letterpress title on the cover. Click here for the project statement.